You've dreamed of owning and building your own aircraft: The new Zenith CH 750 Cruzer Light Sport Utility kit aircraft is the answer to your dreams - offering you outstanding performance, great capabilities, versatility, comfort, and, best of all, the Zenith CH 750 is an affordable all-metal kit aircraft you can build yourself with basic skills and tools. Zenith Aircraft Company is a leader in the kit aircraft manufacturing industry, bringing more than twenty years experience designing and building quality aircraft kits for both first-time builders and demanding sport pilots. With this invaluable experience, Zenith Aircraft provides builders with award-winning designs and kits, reducing your risks in purchasing a kit aircraft, and assuring the builder of ongoing and direct factory service and support. The high quality of the CH 750 design and kit assures you that this is one project you'll be proud to own and fly for many years. Building your own aircraft is going to be one of the most challenging and rewarding undertakings you'll ever accomplish: imagine, you'll be enjoying the thrills of flying an aircraft that you've built yourself! Few people get to experience the sensation and freedom of flying. Even fewer are also rewarded by flying an airplane that they've built themselves. The Sport Pilot-ready Zenith CH 750 will help you realize your dreams like no other kit aircraft! Firewall-Forward Engine Packages: We supply firewall-forward parts and accessories for the ULPower series, Continental O-200, Jabiru 3300 and Rotax 912 ULS engine series. Contact Zenith directly for details and price. Drawings and Photo Assembly Manuals. Detailed blueprints of the complete airframe and components (CAD drawings), supplied with aircraft serial number: All you need to 'scratch-build' your own Zenith CH 750 Cruzer Aircraft. The Assembly Manuals are supplied on CD-ROM, with high-resolution Photo Assembly Guides. Plans and manual are included with the airframe kit. Add $15.00 for overseas Air Mail shipping. Developed specifically for the first-time builder, the very affordable starter kit includes everything you need to start building your own Zenith CH 750 light sport kit aircraft. This kit includes the parts for the rudder vertical tail section as well as the required assembly manuals and drawings. Kit assembly tools are not included. Assemble the Rudder Starter Kit at a Factory Workshop. The CH 750 airframe kit (edition 1) comes with all kit parts to build the airframe: The kit includes the factory riveted wing spars, pre-formed sheet-metal parts (ribs, skins, etc. ), factory-welded parts, standard fuel system (dual wing tanks), controls, and hardware required for assembly of the airframe. Skins and most parts are supplied CNC pre-cut and pilot-hole match-drilled! The Airframe Kit includes the Drawings and Manuals for assembly. 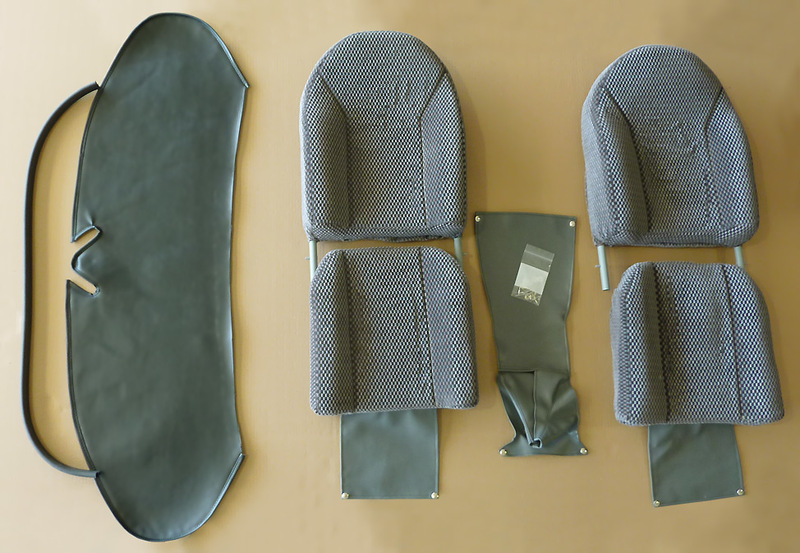 The Finishing Kit includes the items to complete the aircraft, including the spring gear, wheels with hydraulic disk brakes, the formed windshield, doors, seats and seat belts, electric flaps and trim motors, hardware, and more. 1/2018 Price Update: New price reflects updates to the kit with significantly more CNC drilling (final hole size match-drilled) for quicker and easier assembly. Not included: firewall-forward powerplant and instruments packages, paint, and upholstery. Crating and shipping charges are extra. You may choose to purchase sections of the complete kit to 'buy-as-you-build' (instead of ordering the complete airframe kit as a single package). The Plans and Manuals must be purchased separately. Individual parts and components are also available scratch builders or as replacement parts. Thanks to the long list of standard equipment included in the kit, there are few additional options needed or recommended. Most options are available as a retrofit. AeroLED: Pair of wingtip mounted three-in-one combination navigation / strobe and position lights (includes mounting hardware and wiring). Available as retrofit. Fold back the wings for storage or trailering. (The standard wings are easy to detach). Available as a retrofit. Purchase individual tools from our Online Kit Store (such as drill bits or Cleco temporary fasteners) or the Complete Took Kit in one box. We now stock most items to help builders complete their own custom panel, including Dynon and Garmin systems, as well as the power distribution panel and Approach Systems "plug'n play" harnesses and hub. Details. Sample Panel Layouts. 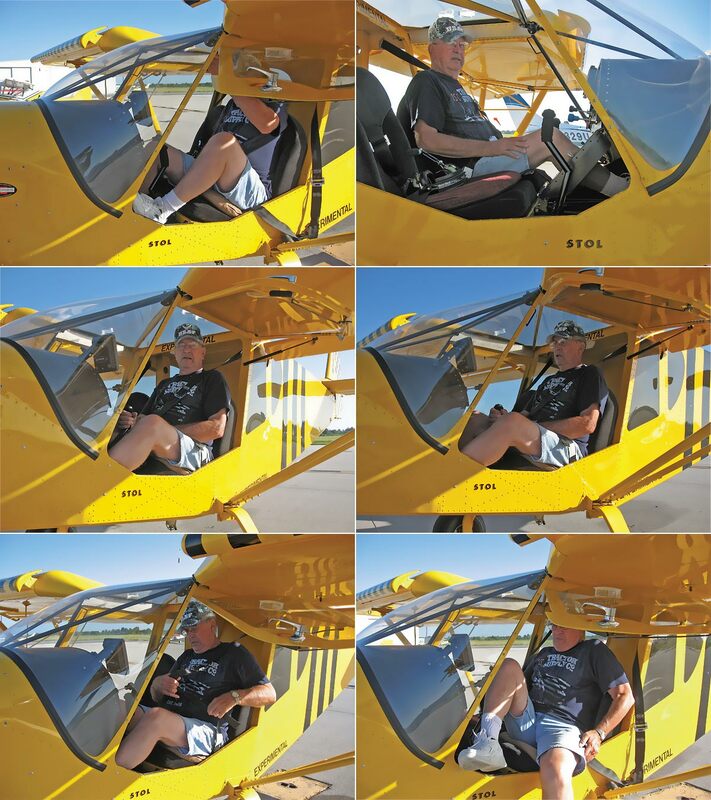 Add a new dimension to flying with all-metal floats developed specifically for the STOL CH 750. #1400 Zenair LSA Floats include rigging to the STOL CH 750. Retrofit. Available straight floats or amphibious floats. Available basic kit or pre-drilled kit, or factory assembled (ready to install). Zenith Aircraft Co. offers a number of complete firewall-forward engine packages for the Zenith CH 750, including (but not necessarily limited to): Continental O-200, UL Power, Jabiru 3300, Rotax 912 ULS / 914 / 912iS, and the Corvair auto conversion. Zenith also offers complete instrument panels, with EFIS and avionics, for the STOL CH 750. Zenith Aircraft Co. plans on making available a number of complete firewall-forward engine packages for the CH 750, including (but not necessarily limited to): Continental O-200, UL Power, Jabiru 3300, Rotax 912S / 914, and the Corvair auto conversion. Zenith also offers complete instrument panels, with EFIS and avionics, for the CH 750. Kit prices do not include any crating, handling or shipping costs. The following crating and handling charges apply for kit and component kit orders. Due to the size and weight of the kits, all kit orders are usually shipped by surface freight (truck). All shipping charges are collect (F.O.B. Factory). There are no crating charges for factory pick-ups: click here for details. Click here for shipping details and to obtain a shipping quote. One Box, approx. 13.5' x 48" x 30", 850 lbs. Start building the CH 750 for just $375 with the introductory Starter Kit. Click here for details.